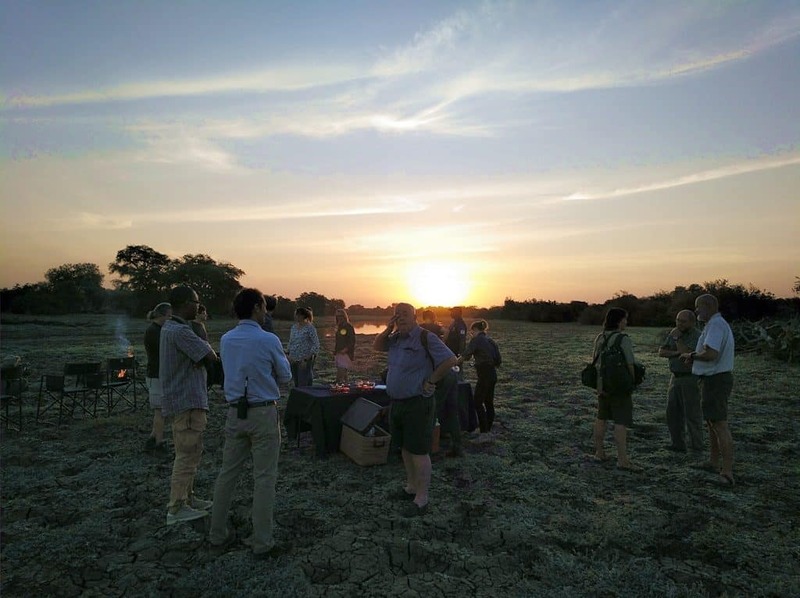 In Kumakonda we could not start 2019 in a better way, just finished with a new prospective trip in Chad in which we visited the Zakouma National Park. 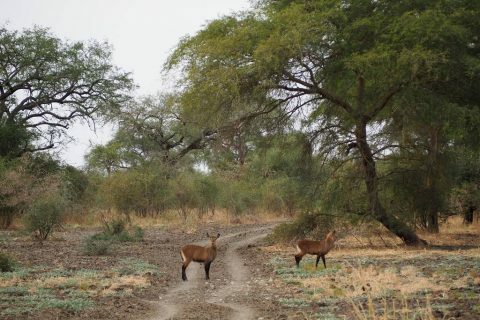 Chad is perhaps the great unknown of the African continent but at the same time it is incredibly beautiful and wild. 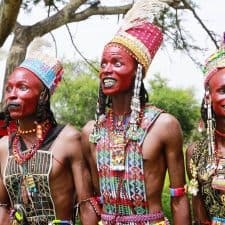 The traveler will discover a good number of very beautiful treasures that very few have had the privilege of visiting such as the Zakouma National Park, the Ennedi plateau or the Ounianga Lakes. 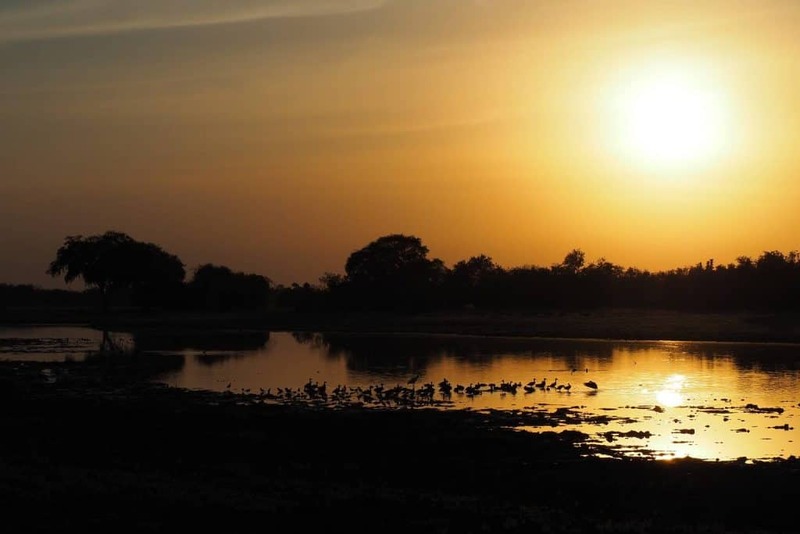 Just south of the Sahara, Zakouma is the northernmost of the great African national parks. 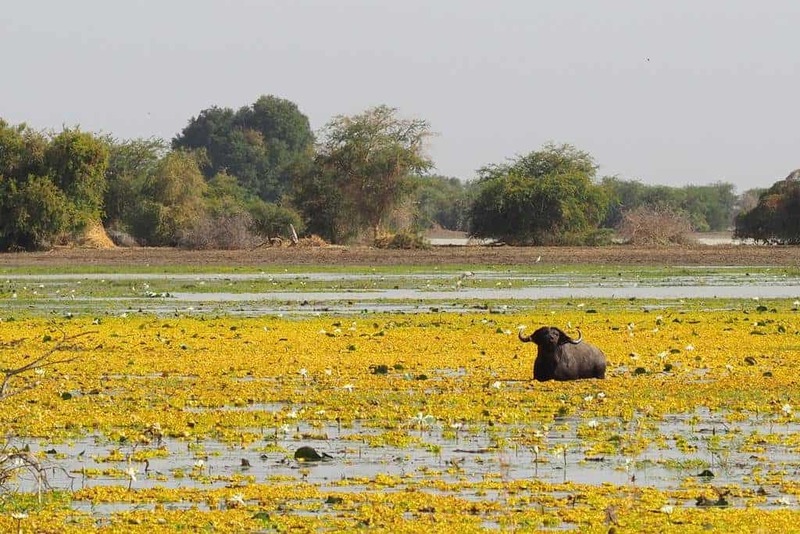 With one of the latest examples of Sudanese-Sahelian ecosystem, Zakouma's landscapes are unique, blending open spaces with bushes, savannah forests and wetlands. These wetlands attract a large number of birds rendering this park a paradise for observation. Over the 4 full days during our visit to Zakouma, we have covered a good part of the hundreds of kilometers of practicable tracks that this beautiful National Park has, observing a fair number of animals such as lions, ostriches, foot monkeys, baboons, giraffes (the most common), solitary elephants, solitary buffaloes and different types of antelopes such as kobus, gazelles, roans or net hartebeests. 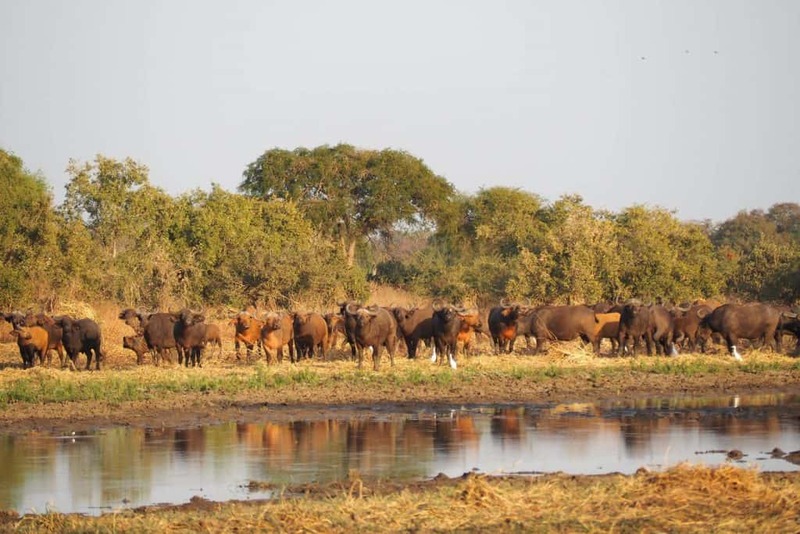 But we have also been fortunate to see two large herds of buffalo and not easily but with the great work of our guides we were able to spot and follow the large herd of Zakouma elephants. 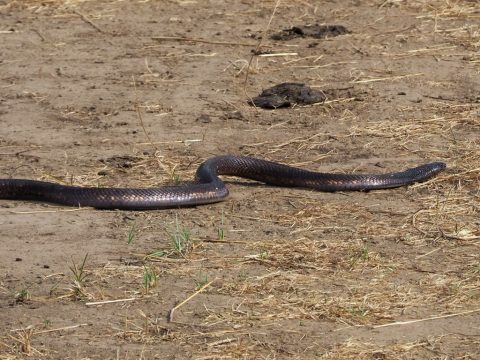 As for reptiles: two pythons, two black cobras and abundant crocodiles. 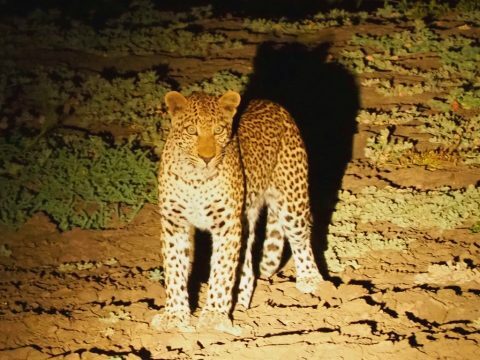 During the nocturnal safaris we could see a leopard, jinetas, jackals, a python, African wild cats, African servals, mongooses, hyenas and civets. Which is not bad at all. 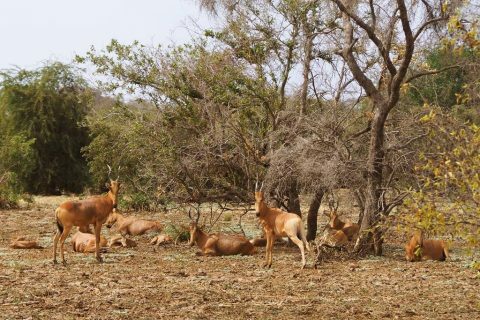 What are the reasons why Zakouma is undoubtedly becoming one of the best National Parks in Africa? 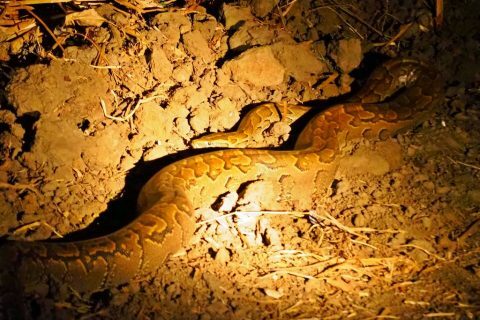 A conservation success. 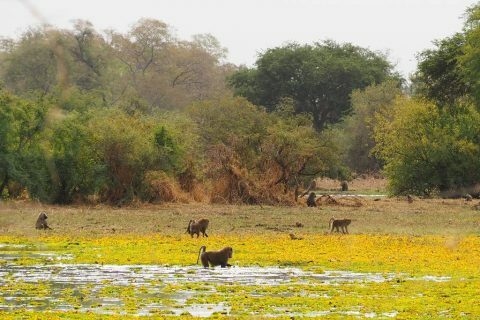 Thanks to the conservation triumph in October 2017, the government has nearly doubled the protected area and incorporated two nearby wildlife sites. Military, on horseback, on motorbike or on foot, aerial surveillance, radio and the collaboration of nearby communities who have a toll-free number to warn of any anomaly. 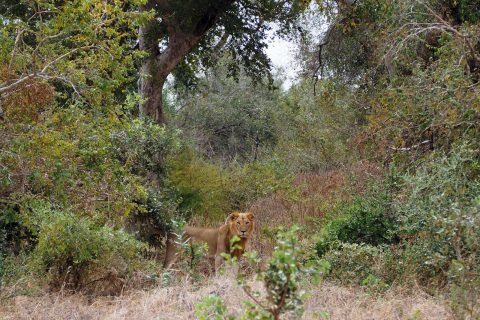 While it is true that it cannot be compared to the number of animals and the ease with which they are seen in other most famous National Parks on the African continent, Zakouma has nothing to envy of any other park. Between 2002 and 2010, the elephant population rose from 4,000 to 450. 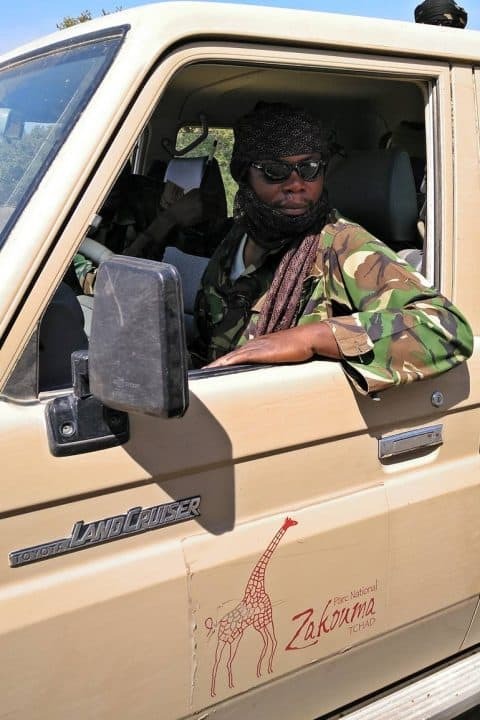 Since the Zakouma administration was managed by African Parks in 2010, there has been an increase in the number of large mammals and in April 2018 559 elephants and 127 pups have been counted. 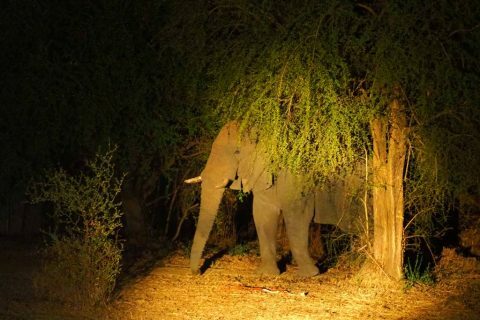 In 2011 only one pup was counted, as the elephants were too stressed to reproduce because of poaching. 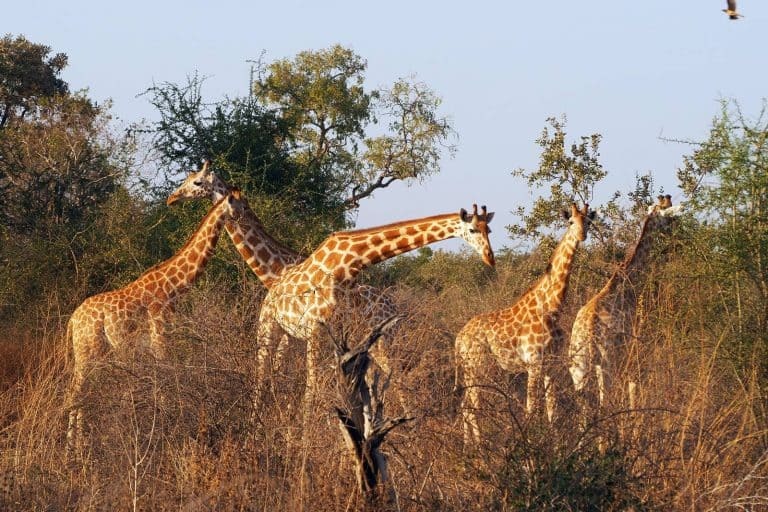 The easiest animal to see in Zakouma National Park is the giraffe, home to 50% of the remaining Kordofan giraffes, about 950 specimens. An emblematic animal that has become the symbol of the park. Although the introduction of the black rhinoceros from South Africa in 2018 is being more complicated than expected as most of them did not survive the food change, it is expected to contribute to the restoration of the local ecosystem in the future when after tests and studies they manage to adapt, and new specimens are brought in. 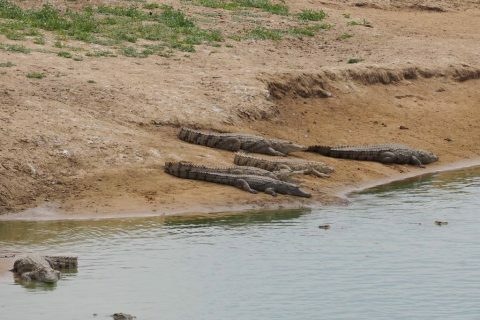 4.Experience really wild safari, with excellent guides. 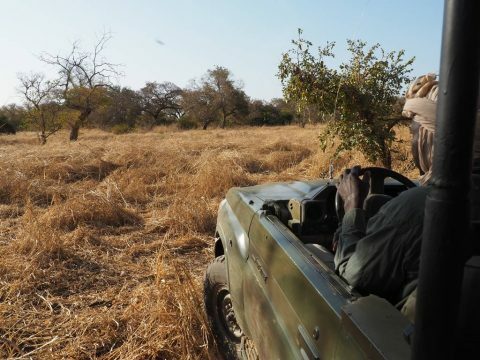 A great formation and knowledge of the environment by the guides of the National Park of Zakouma and the freedom of tracking animals and herds outside the marked paths make the tour very interesting. 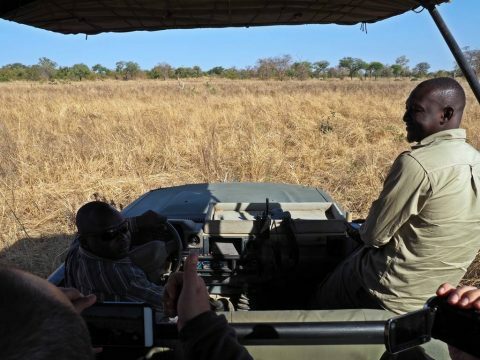 Unlike other African National Parks, here the number of safari vehicles available to the park is only four. 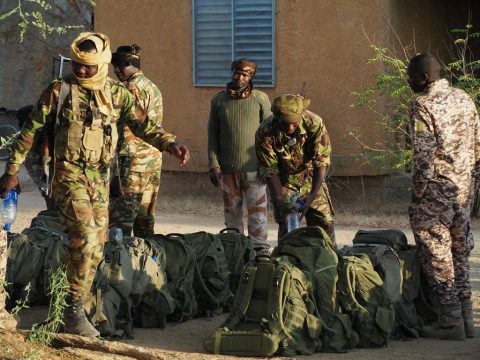 Rarely will we find another vehicle in Zakouma. 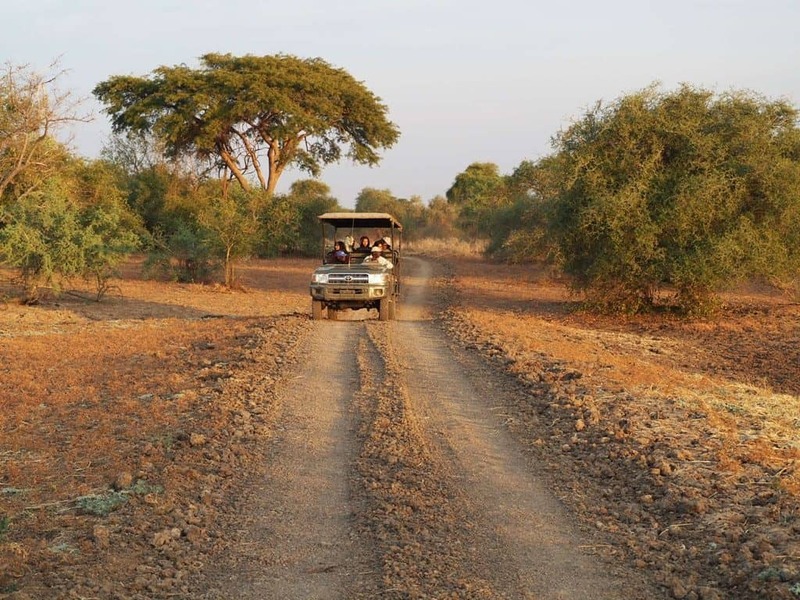 Since tourism is very scarce and does not have a negative or significant impact, they make the safari experience at Zakouma exceptional. 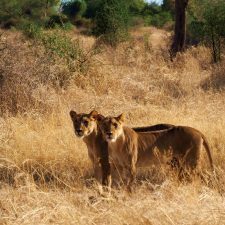 Undoubtedly one of the most exciting experiences of the African continent is to go in search of wildlife on foot and if we also have good guides, which is essential, the experience will be memorable. Zakouma National Park is home to possibly the largest herd of elephants in Africa, consisting of about 500 specimens. 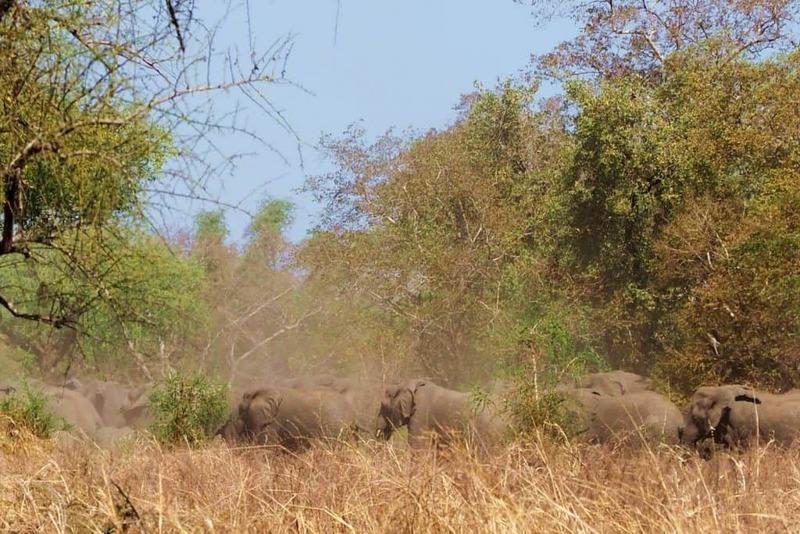 But due to decades of poaching, this great herd of Zakouma elephants is usually protected in the acacia forests of the park, being very elusive to human presence and being seen very little in open spaces. On this trip we spent an entire day searching for them, tracking and following in their footsteps. With the sound of the engine it was impossible to get close to them, so we continued the tracking on foot until we found them. We were fortunate to live with our travelers a wonderful experience, both intimate and exclusive. 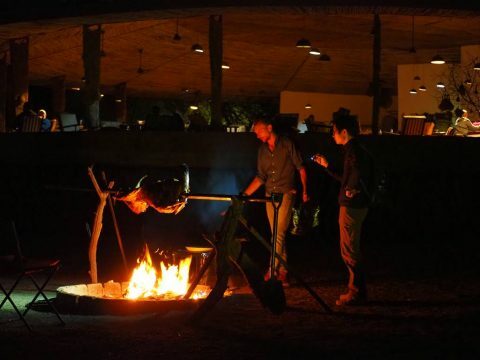 Superbly managed by Claire and Maxi, the Tinga Camp offers simple but very correct accommodation and is a great place to recuperate between safari and safari. 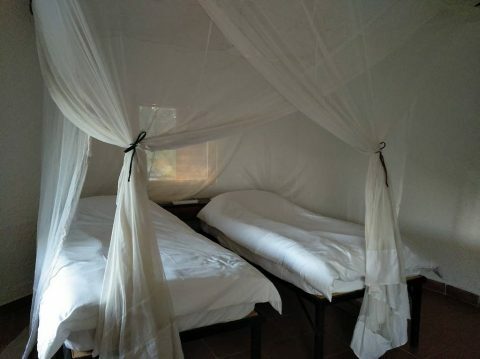 We sincerely love the accommodation in the African National Parks that do not have gates and like Tinga Camp, open to any type of visit. 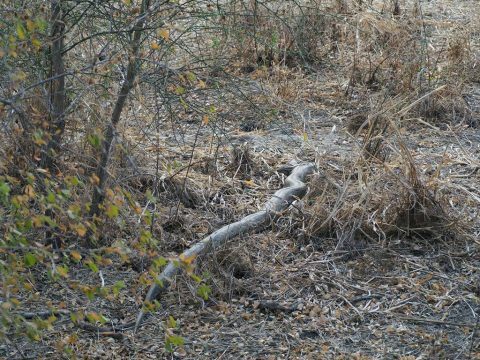 It is common for an elephant, hyena or even a lion to come and browse the camp. 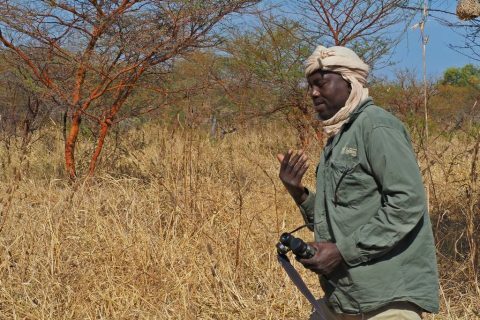 Birdwatching in Zakouma National Park is an extremely rewarding experience. Not only in the number of species (currently 373), but also in their abundance. Zakouma has two distinct climatic seasons, wet and dry. From June to October with the abundant rains the park becomes totally flooded. 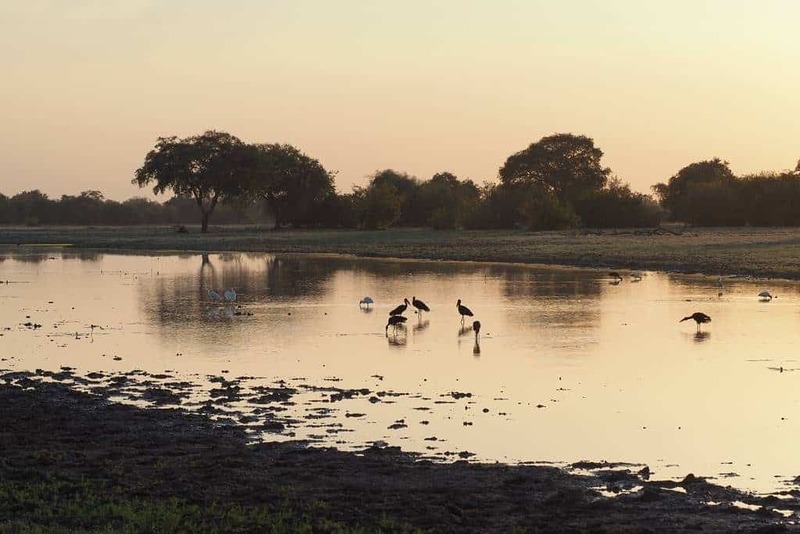 As the dry season progresses, riverbeds and wetlands diminish, and thousands of birds and other fauna congregate around them. The park is one of the largest generators of employment and income in the Salamat region, where Zakouma is located. 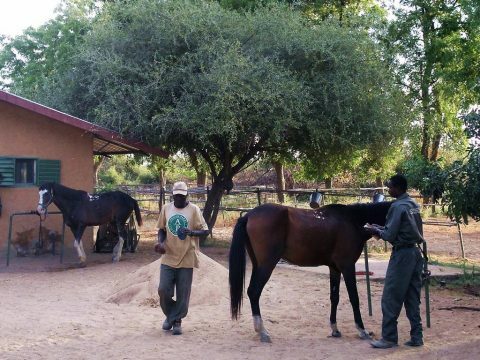 Also, the populations surrounding the park have been offered some horses to improve the breed of those who have. A very used animal in this region. Chad is one of the last frontiers. 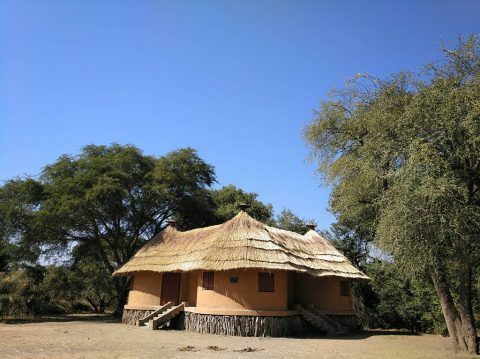 Traveling to Zakouma by land is much more than traveling to a classic safari destination. 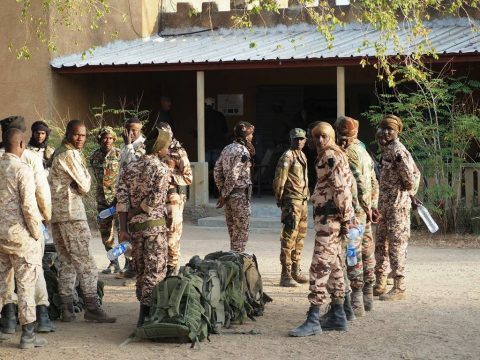 860 kilometres separate the capital N'Djamena from Zakouma. This distance is covered in a trip of two days, in which it is necessary to camp in the surroundings of the Mountains Guera. 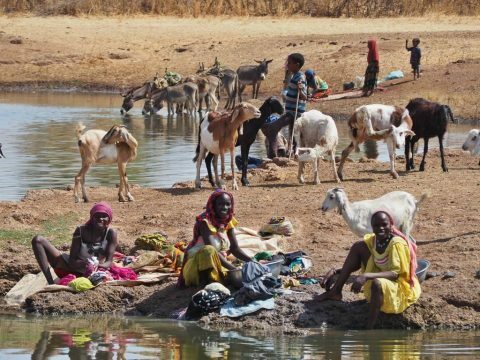 On the way it is common to meet different ethnic groups such as the Mimi, Dangelaet, Wodaabe or cross with huge caravans of camels led by nomadic Arabic families.